Kind of looks like a painting, doesn’t it? Well, it hasn’t been Photoshopped with any special effects. 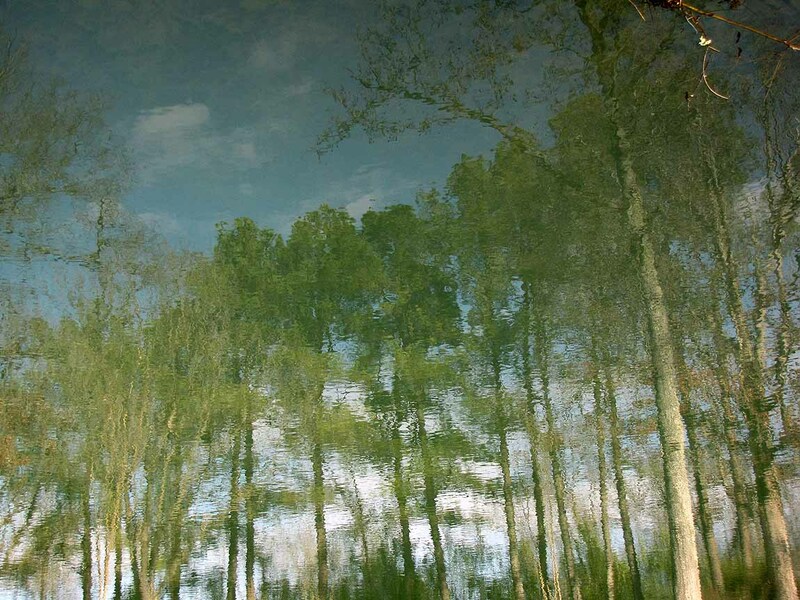 I will confess, however, that I flipped it vertically, and the picture is actually upside-down. 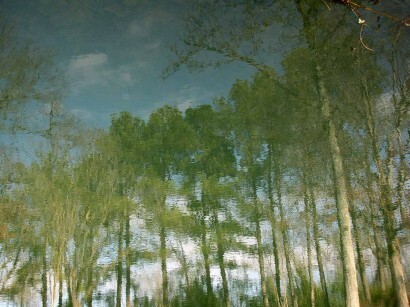 Yep, it’s a picture of a reflection in our pond of some nearby trees. 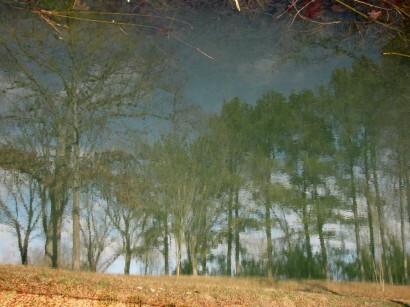 You can tell it’s a reflection easier in this picture. Same deal, no photoshopping, I just flipped the photo. But you can see some of the weeds along the bank of the pond along the top of the picture. I like checking out the pond this time of year. There’s no algae clouding up the water, and it’s easy to see the bottom. Checking out the pond bottom. 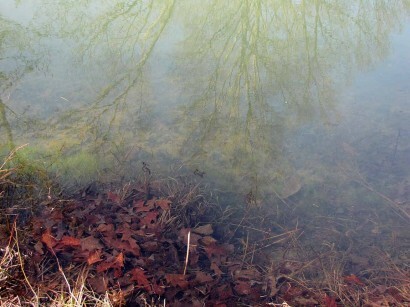 Of course, there’s all those leaves on the bottom from the now bare trees reflected in the water. And the lousy sweetgum balls! At least I can’t step on them if they are on the bottom of the pond. Guess I’ll just reflect on that. At the local watering hole. . .